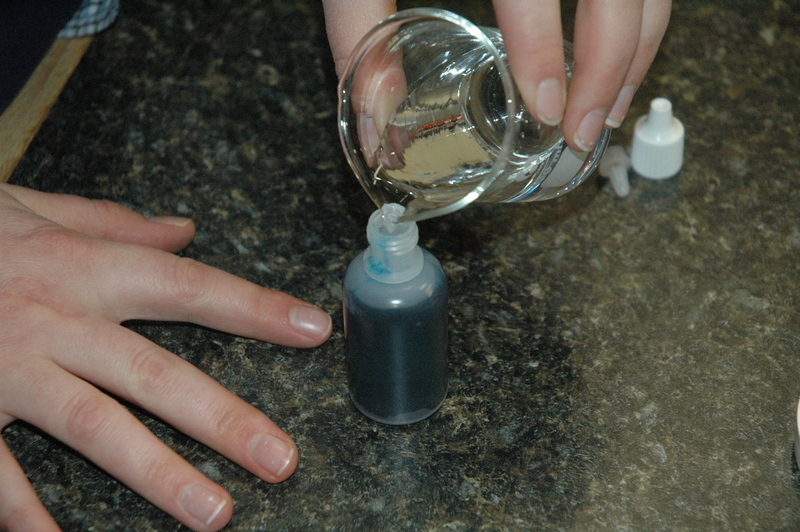 Today, I’m going to show how you can mix a dye and keep the mixed dye ready for anything you want to do. 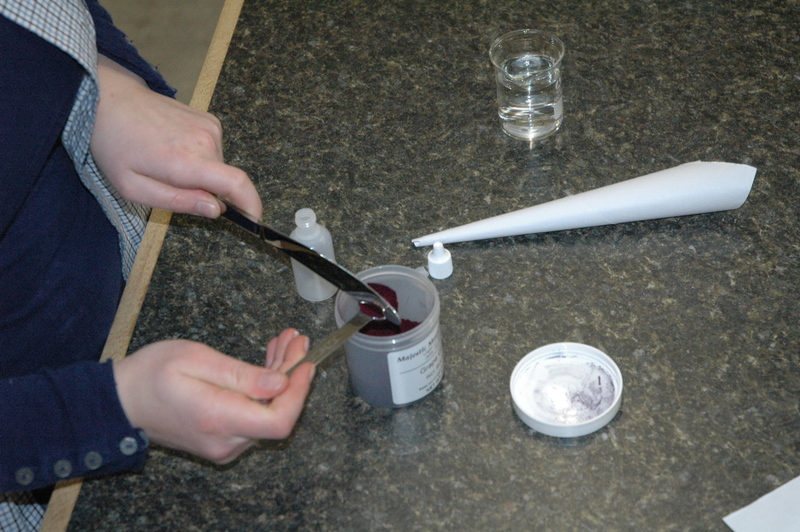 We’re going to use the Water Soluble Colorant Kit for this post. #1 Collect everything that you need. #2 Measure dye, level spoon. 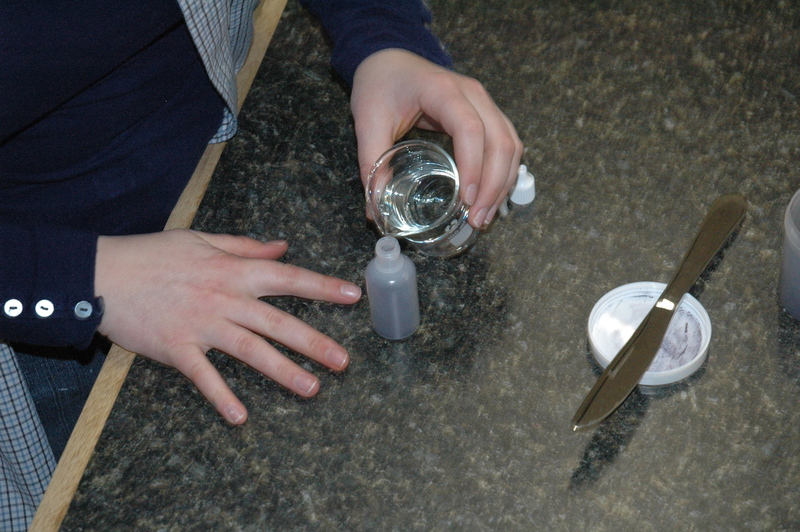 Form paper to make a funnel for an easy transition, deposit dye into 1 oz Dropper Bottle. #3 Add water up to the neck of the bottle. #4 Place the tip on the bottle and cap. Adhere the label included with the kit. 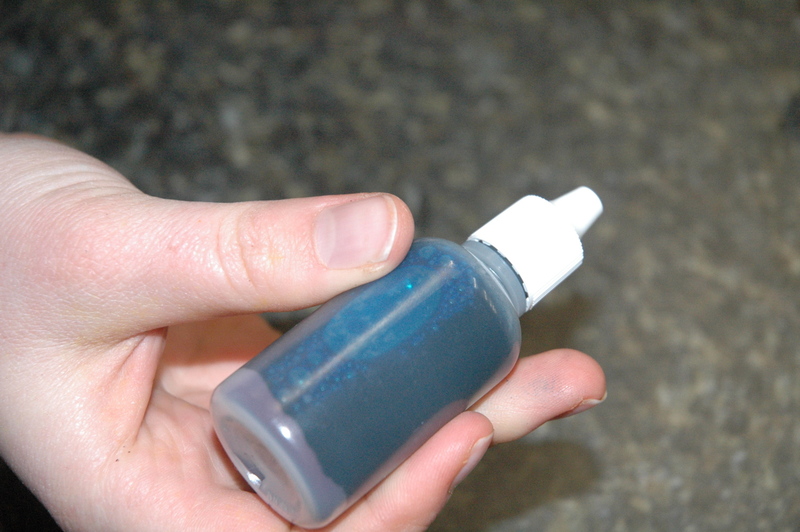 Now you can shake it to make sure the dye is completely mixed. Repeat with remaining colors. #5 You are ready to go! I will use these premixed dyes in future posts. Careful! 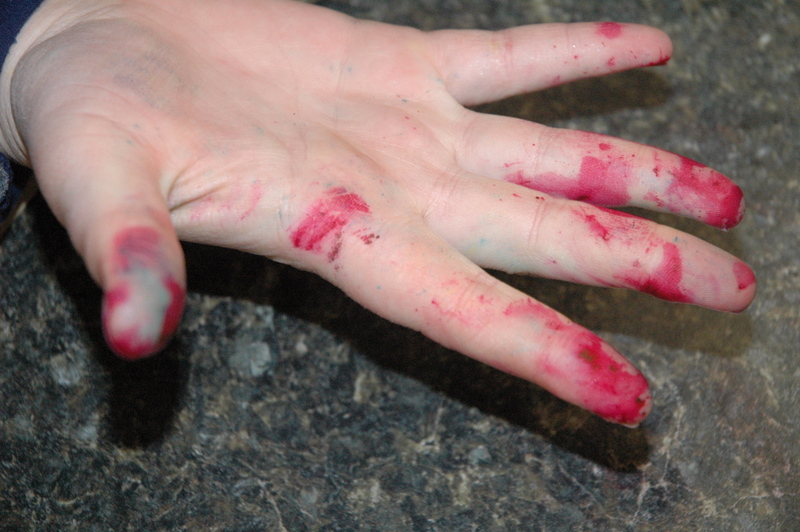 If you don’t wear gloves while making these premixed dyes, your hands could look like this. 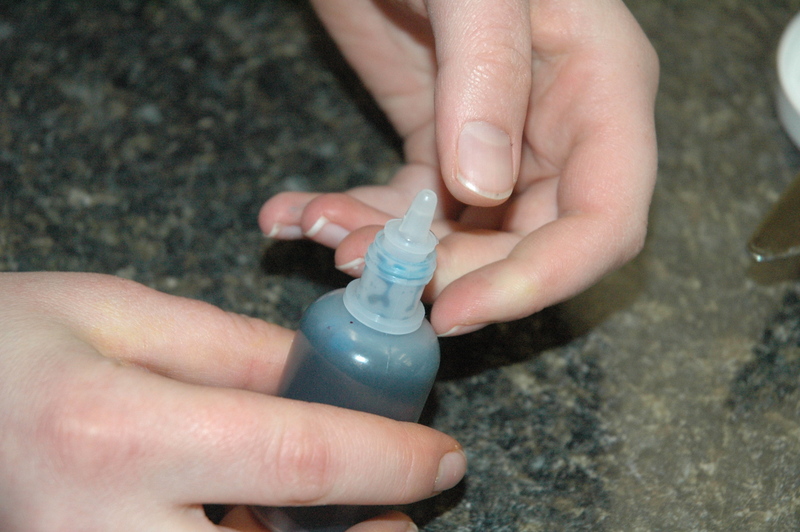 Regular soap won’t remove the dye from your hands. I use dishwasher detergent granules, specifically Cascade. 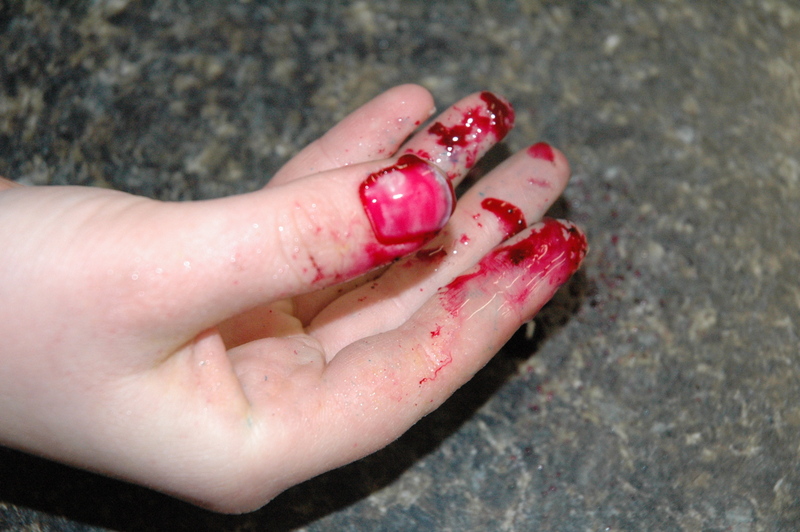 To avoid this mess, I highly recommend wearing rubber gloves. This is my paper towel after wiping down the counter. I would recommend some Windex to help clean the counters. 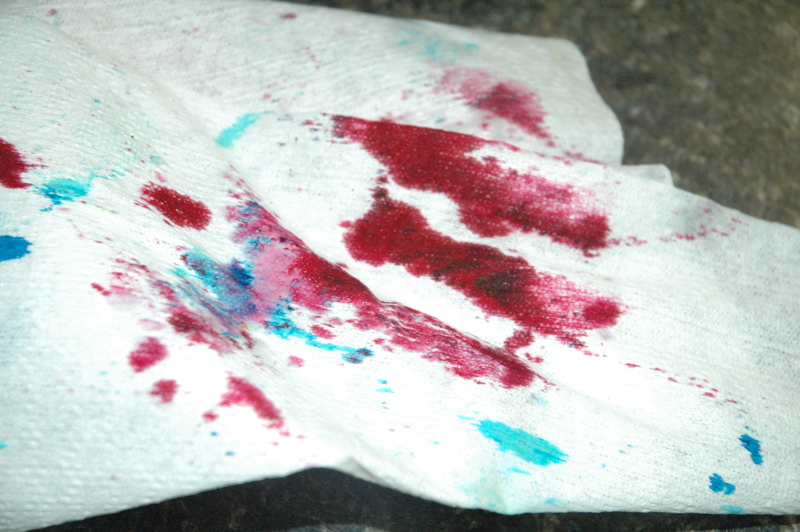 Clorox Clean Up with Bleach might be needed to clean any stubborn dye stains from the counter. 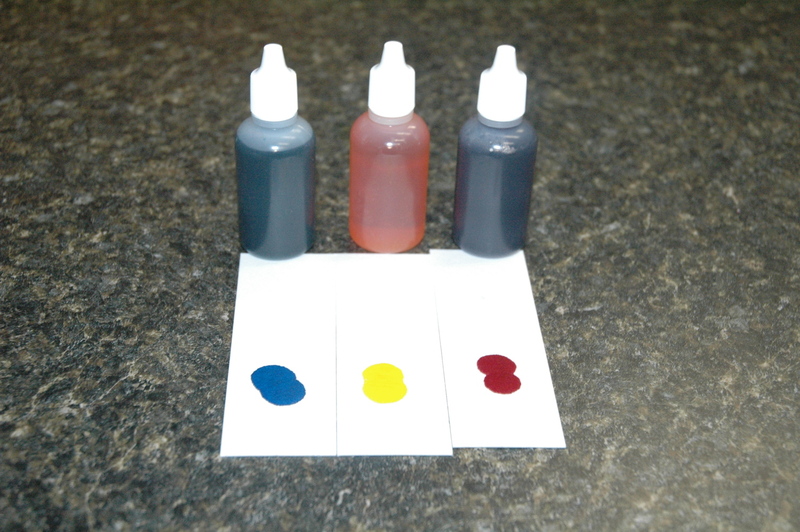 Is there any reason you couldn’t use this same process with the dropper bottles to mix oxides or ultramarines with glycerine? If it makes any difference, I’m making CP soap only at this point. No. The dropper bottles have a very small hole and the glycerin is so thick. I would recommend storing it in a small jar or bottle with a disk top. I think I’ll show how to mull a pigment! 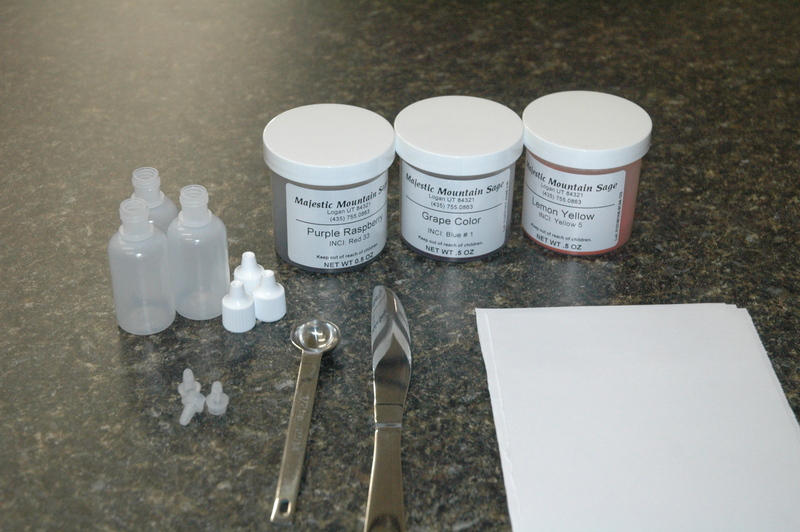 You will think this is so cool and an easy way to help keep pigment speckles to a minimum. Does it matter if I use tap water or distilled water when making this? I used tap water with this. 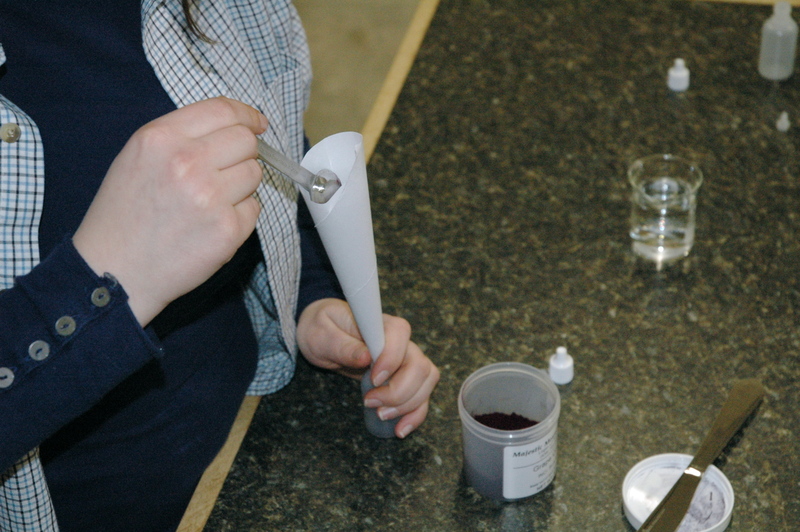 Pingback: Adventures With The Sage » Blog Archive » Making Bath Salts!